The daily reminders of a rapidly warming planet have made me an avid student of anything that can help offset greenhouse gas emissions. So I grow food, but I think of myself as a soil farmer first. When I got out of bed this morning I checked the weather report. It’s the first thing I do every day. 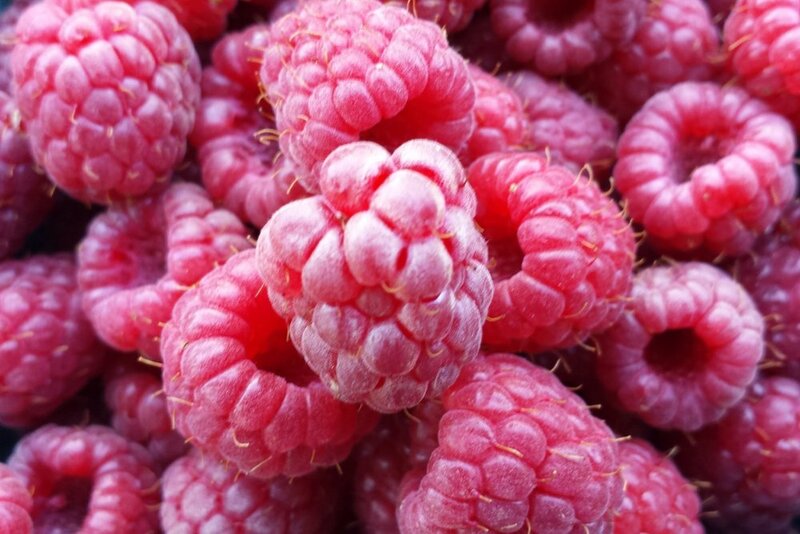 When you grow food, the weather assumes a make-or-break urgency that defines your life. It also forever changes the way you relate to a forecast. I never hear “early frost” without worrying it could interrupt my ripening tomatoes, or “heat spike” without fretting over wilting spinach. I started monitoring the weather eight years ago while running a market garden in the Pacific Northwest. It only took a couple of years of farming to notice the rains were becoming more torrential and the droughts, unusually long. After a cloud of new southern pests threatened to take down my crops one summer, I started thinking about the effects of global warming on a daily basis. It’s what drove me back to school to study soil and water management. I wanted to find a way to adapt to the changes I’d observed. Daily reminders of a rapidly warming planet has made me an avid student of anything that can help offset greenhouse gas emissions. So I grow food, but I think of myself as a soil farmer first. I’ve learned that cultivating soil rich in microbes and organic matter can draw down excess carbon dioxide. 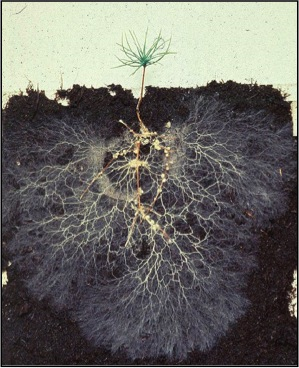 Rebuilding the soil is the basis of regenerative farming, which rejects the use of synthetic pesticides and fertilizers and aggressive tilling. Instead, we lay down thick layers of mulch and compost. We plant deep-rooted perennials. And we grow cover crops that protect the soil from erosion. I love the rich loamy soil I’m producing and I swear the food I’m growing is tastier. But what most intrigues me about regenerative farming is the powerful role it could play in cooling our environment. 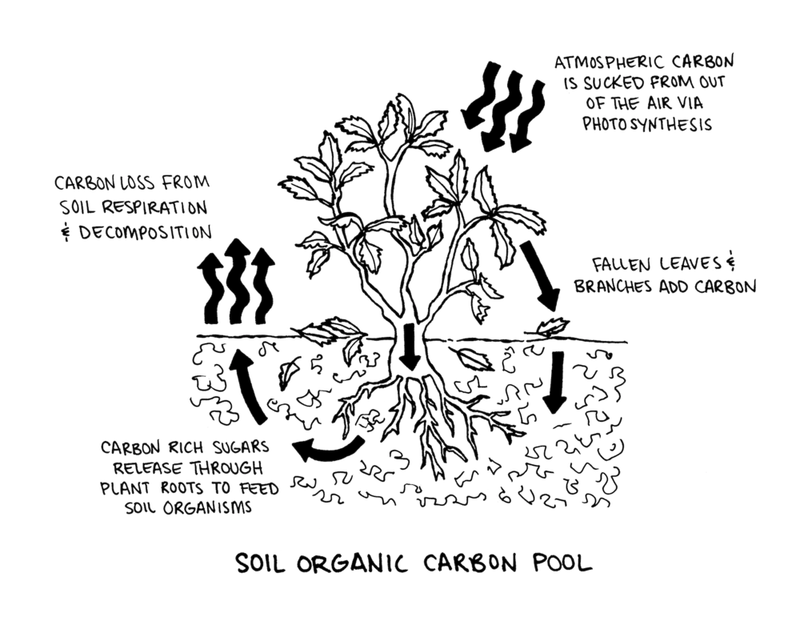 The alliance between plants and soil organisms helps lock carbon in topsoil, producing the dark organic matter every gardener lusts for and turning the very ground we stand on into a giant carbon sponge. One tree, for example, can draw down more than a ton of carbon dioxide over its lifetime. Leaving the soil undisturbed and protecting the soil from erosion helps to keep the carbon in the ground and out of the atmosphere. This ability to capture greenhouse gases is why many experts believe regenerative agriculture, also known as carbon farming, could play an important role in fighting climate change. Planting a garden is a powerful act. It gives each of us with access to a little dirt something we can do about the most significant threat we’ve ever faced. Cultivating even a little patch of soil, in pots or in your backyard, matters. Eric Toensmeier, author of the Carbon Farming Solution estimates that his own tiny carbon-rich backyard garden, about a tenth of an acre, can offset the carbon emissions of one American adult per year. Creating a giant, cooling carbon sponge significant enough to reverse global warming requires an army-sized regenerative effort, not to mention persuading farmers around the world to adopt these practices. Given the political challenges, that’ll be tough. But we’ve already got a decent head start. While fewer and fewer people are farmers by profession, many Americans are growing food. In fact, 35 percent of us, or 42 million households, report growing some of our own food, according to the National Gardening Association of America. Large-scale adoption of regenerative farming practices would go a long way toward reversing global warming. The Rodale Institute estimates we could sequester more than 100 percent of annual carbon dioxide emissions worldwide if we switch to regenerative agriculture techniques to grow our food. Here’s what it takes to start your own soil-building garden. The broad fork is a handy tool for loosening raised beds without disturbing the soil. I recognize that not everyone has the space or the interest in building a raised bed. No worries there’s another way to prepare your planting area: add more soil. Shovel on soil from anywhere in your yard, as long as you’ve first removed all the weeds. If your yard is too weedy or hard to dig up, or just not all that big, buy a few bags of soil from your local garden center. Make sure any soil you buy is clear of debris. I mention this because poor-quality leftover construction fill is sometimes rebranded as garden soil. Add enough soil so the bed is three to eight inches high. Any higher and you run the risk of having soil wash away during big storms or intense rainfall. Plus, it may dry out more quickly. Maybe you don’t have a yard? An excellent way to get your hands dirty is to sign up for a community garden. Or offer to help in someone else’s garden. If neither is an option, you can grow in containers set out on a balcony or porch. Container growing is easy as long as you pick the right size and start off with good soil. The bigger the pot the better because rootbound or crowded plants don’t weather outdoor temperature swings well and typically need more tending. A good rule of thumb is to choose a container that offers as much space below ground as a mature plant’s foliage above ground. I like to fill my containers with homemade potting soil that's a mix of equal parts peat moss or coconut fiber, good garden soil, compost, and sand. But you can also buy potting soil from your local garden store. Look for potting soil that is 100 percent organic and, if you can find it, inoculated with mycorrhizae, a fungus that works with plant roots to absorb more nutrients. Keeping your garden mulched helps prevent soil erosion, suppresses weeds, and protects plant roots from becoming exposed and susceptible to drying out or freezing. Acadia Tucker is a regenerative farmer and gardener who lives in Portsmouth, New Hampshire. Her book, Growing Perennial Foods: A field guide to raising resilient herbs, fruits, and vegetables is for sale on Stone Pier Press and Chelsea Green. Her second book, Growing Good Food: A citizen's guide to backyard carbon farming is available for preorder.